Don't miss the latest happenings out of Kimberley, including new lifts, terrain expansions, weather, photo galleries, infographics and current events skiers and mountain travelers should know about. Stay up-to-date on Kimberley news and events by clicking on articles from the list below or page through to see coverage from the entire ski season. 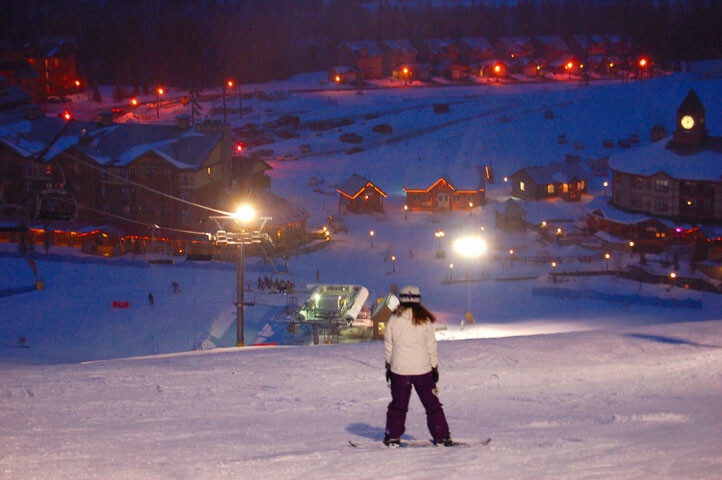 Something of a hidden gem for families, Kimberley Mountain Resort on the British Columbia/Albert line is one of the best resorts in the world to learn how to ski or snowboard. While your youngest make their first turn in the protected area at the base, ski superb cruisers or venture onto black and double black terrain close by, only minutes from your precious offspring. Buy your 2012/13 season pass now and save on skiing in Canada this winter. Kimberley's new conference facility will also house the new Kimberley Alpine Training Centre specifically designed to enhance training for para athletes. Fernie and Kimberley Alpine Resorts wind up their winter seasons in April and then ready for summer mountain biking, hiking, and golfing. Tourism British Columbia is offering a sweepstakes contest for a five-day ski vacation at one of 13 resorts in the province. Fernie and Kimberley Alpine Resorts host two different parties for New Year's Eve-one targeting adults and the other for families. Early snow prompts inland B.C. resorts to bump up their planned openings--including Kicking Horse and Revelstoke.